More often than not, pulling off the basics can do alot when impressing people. What Black Panther has done, is give audiences a film that has the standard superhero movie frame, but has components that are pulled together so well with everything executed so superbly; that the movie has become one of the best Marvel studios has to offer. The movie manages to seamlessly bring together ideas of isolationism, immigration, systemic racial tensions and weave them into the basic hero’s journey structure; creating a film that carries all these sophisticated messages while being an overall great superhero action movie. 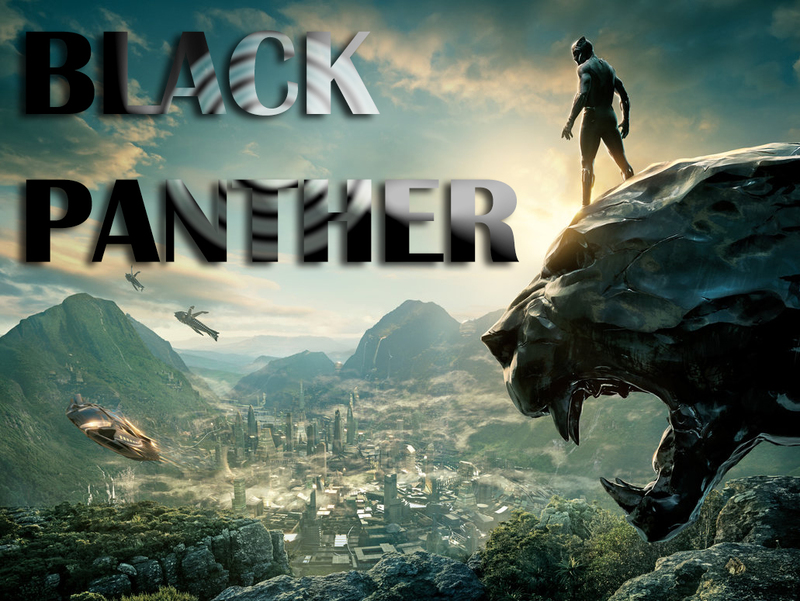 What we’ve come to expect from a marvel movie, as well as any action/adventure movie is displayed in Black Panther, but it is done so well and is so intricately characterized with the Movies style that the film rises from standard to fantastic. If there are two ideas that i find to be the most poignant, is the idea of rebuking the ghosts of the past and finding your own path. In the Marvel Universe, everyone believes that T’challa ( Chadwick Boseman) country of Wakanda is simple and undeveloped, a ruse designed by his ancestors to hide their advanced civilization from the world. The main antagonist of the film, Michael B. Jordan’s Killgrave, is not only trying to return and rule the country to gain some resemblance belonging and birthright, but in part to use the resources of a country that he believed abandoned him and his father to spread their power across the world and to dominate all those who are oppressors. The great part of this character is that his motivations are not only justified, but his idea of saving people, fueled in large by decades of black oppression, are not inherently bad. His methodology however is fueled by hatred and oppression, ultimately making him the same as the people he plans to attack. Nietzsche said it best, “Beware that, when fighting monsters, you yourself do not become a monster… for when you gaze long into the abyss. The abyss gazes also into you.” By the end of the film, T’challa realizes that he has to not only evolve himself, his country and their practices, but look towards the future as someone who will make their own future and give past mistakes no power. One of my favorite aspects of the film is all of time put into the creating the culture of Wakanda. All of set design, as well as the clothing,jewelry, music, makeup and hairstyles are done so well on every person from main character to extra. Every aspect of Wakanda and its people not only are inspired and taken from black/african culture but are modernized; showing that the stigma of primitiveness related to african peoples and cultures are not that but are a deeply sophisticated design that could easily be apart of the modern world. Black Panther takes these traditional and contemporary African Designs and uses them to help build a world that has its people wearing powerful, bright and prideful clothing; something thats fits perfectly with the mindset of the countries peoples. From the acting, to world building, it’s characters and it’s messages; Black Panther is a fantastic movie. With the way affecting culture right now, black panther is a film that’s not only memorable, but will change the standards of movie goers everywhere. Watching the film is a must, so that not only can one understand the concepts presented, but to be apart of the conversation, because this movie is going to be talked about for awhile.